The Ignition Orange Sport 1500 package features a black-striped vented hood, orange interior stitching, embroidered orange logos and orange mesh on the seat inserts. U.S. light-truck sales continue to rise faster than the overall light-vehicle market, and Ford, General Motors, Fiat Chrysler and Toyota are making it a battle to get big pickup shoppers to pick one brand over another. FCA’s Ram brand, which already has sold 59,916 big pickups in the first two months of 2015, is introducing two new packages to grab the attention of even more consumers as the key spring and early-summer selling season begins. 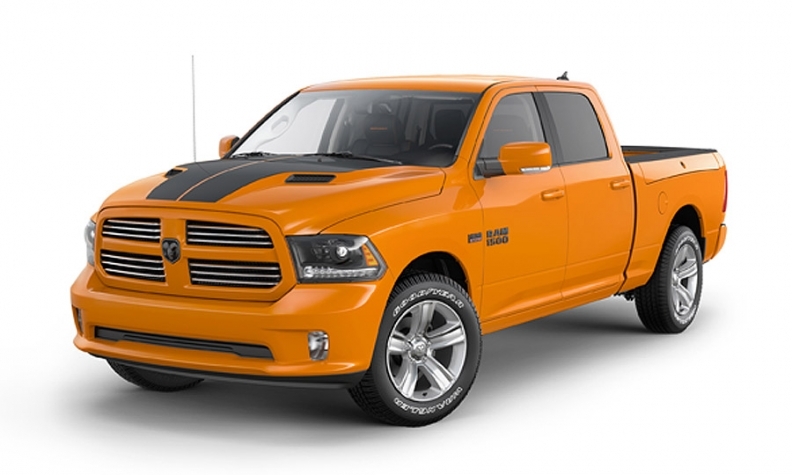 Orders for the Ram 1500 Ignition Orange Sport and Ram 1500 Black Sport will open this week with production set to start in April. FCA says it will produce 1,000 trucks under each package. The latest packages -- priced at $1,595 -- are additions to the standard equipment on the 1500 Sport. The starting price of a Ram 1500 Sport Crew Cab 4x2 is $42,215, including shipping. The Ignition Orange Sport 1500 package features a black-striped vented hood, orange interior stitching, embroidered orange logos and orange mesh on the seat inserts. 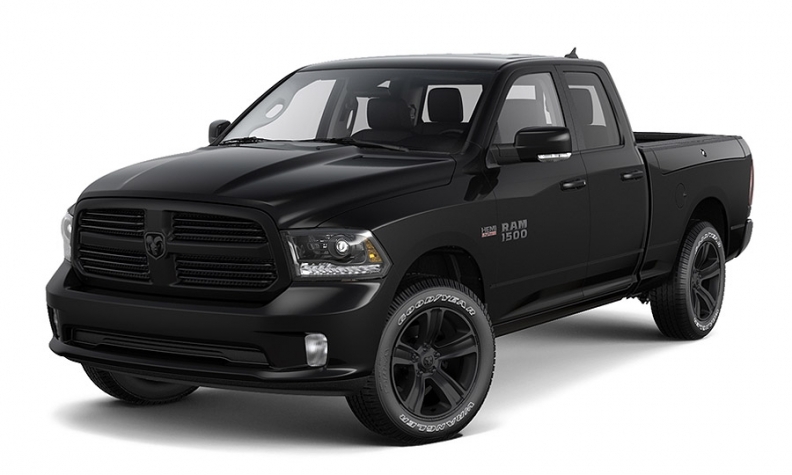 The Black Sport 1500 package has black 20-inch wheels, an all-black grille, a vented hood and a black interior with leather and light black chrome accents. Crew Cab 4x2 and 4x4 configurations will be available. Both trucks will feature a 395-hp, Hemi V-8 engine and eight-speed automatic transmission, dual exhaust, the Uconnect system with navigation and standard rearview camera system. Large pickup deliveries have climbed 12 percent this year through February in a light-truck market that has expanded 15 percent and an overall car and truck market that has increased 9.2 percent. U.S. sales of the Ram pickup rose 24 percent to 439,789 units last year.